Most American funerals today look much as they have for a century: Embalm the body, put it in a casket, and bury it in a concrete-lined vault. It’s a tradition-bound and moribund ritual, says Virginia Beard, a sociologist who studies the funeral industry, one with deep ties to religious beliefs. It’s also a choice made by grief-stricken families, often unaware of the deceased’s preferences and not in a great mindset to carefully consider all their death care options. Understandably, these dynamics do not breed much innovation in the funeral business. But for more than a decade now, a new class of death care businesses has been developing some provocative alternatives, sparking the same uncomfortable debates over dignity and progress that hindered cremation in the past. The services these startups offer—including freezing, liquefying, or decomposing corpses using mushrooms—might seem weird or off-putting at first. Bolstered by practical and environmental claims though, these methods are slowly disrupting this nation’s rigid death industry. Beard notes that this industry shakeup seems to dovetail with the trend toward “increased individualization of funerals, more personal and less fill-in-the-blank style,” which demands a more diverse array of options. Economically speaking, she adds, “a funeral is projected to be the for individuals or families in their lifetime,” leaving people curious about more affordable alternatives. Perhaps most importantly, Beard notes, casket-and-vault burials and cremation require a hefty environmental toll, which many eco-conscious individuals are taking into consideration when selecting funeral services. Burials take up land, release methane into the atmosphere, consume tons of natural resources, and risk leaching toxic embalming fluids into soil. By one recent estimate, about 100,000 tons of casket steel, 4 million acres of forest for casket hardwood, 1.6 million tons of vault-lining concrete, and 800,000 gallons of embalming fluid go into the ground every year. Cremation has a less dramatic environmental impact than burial, but it still releases carbon and any vaporized toxic metals that have accumulated in a body. In England, a country where more than 70 percent of bodies are cremated, the practice is believed to account for around 16 percent of all mercury vapor in the atmosphere. Some innovative death care companies, like Cryomation, an English research and development firm, want to offer services that explicitly counter the industry’s current environmental degradation. Cryomation’s fossil fuel-free technique involves dipping bodies in liquid nitrogen, shattering these frozen bodies into tiny fragments, removing all moisture, sterilizing, and then offering families a vessel of the powdery remains. The container can then be buried, even (legally) in a backyard, rather than an expensive cemetery plot, or its contents can be used to fertilize something like a memorial tree. For the past few years, the company has been developing a machine that could provide this freezing process at your local funeral home or crematorium, all while producing lower levels of emissions than any other type of burial. This technology isn’t exactly new; the idea was first patented in 1978, and another company, Promessa, began exploring the concept in 2001. However Cryomation, which has been working on its version for almost a decade, may be first to bring the idea to market. “Other people have been talking about cryogenic funeral processes for years and not delivering anything,” says Cryomation head of commercial development Paul Smith, who estimates the company will have its first prototype up and running by April. Apart from freezing, there are other proposals out there that sound at least as radical as Cryomation’s, if not more so. There’s talk of embalming with natural substances like a fluid made from vanilla beans. Alkaline hydrolysis uses a potassium hydroxide mixture and hot water to dissolve flesh, which is then sterilized and flushed into the normal water system. Remaining bones are pulverized, completing a process that drastically reduces the emissions needed to create powdered remains. In 2016, an Italian artist came up with speculative designs for a biodegradable egg-shaped burial pod that would turn a body into fertilizer for a tree. 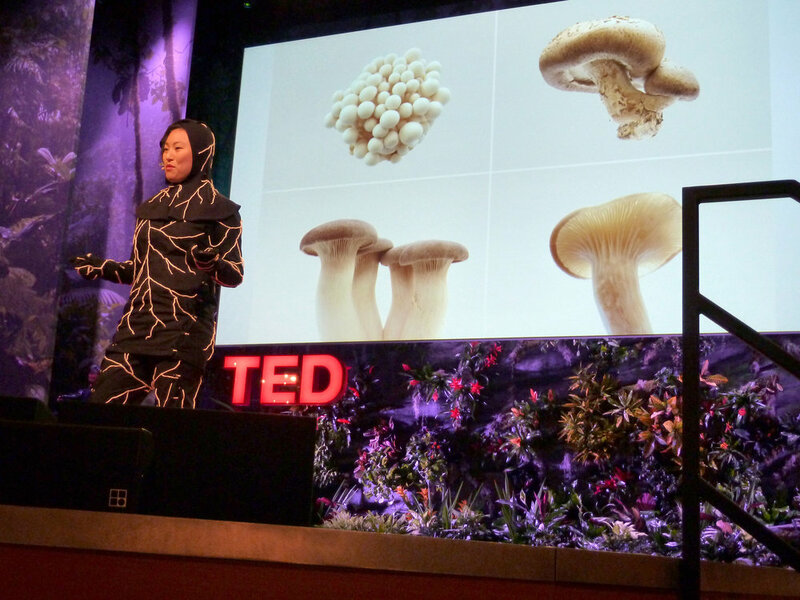 And for several years, a company called Coeio has been developing a mushroom-based burial shroud that breaks down bodies in the ground, turning them into nontoxic nutrients that nourish nearby plant life. Eco-friendly options can also be less expensive than mainstream burial services. 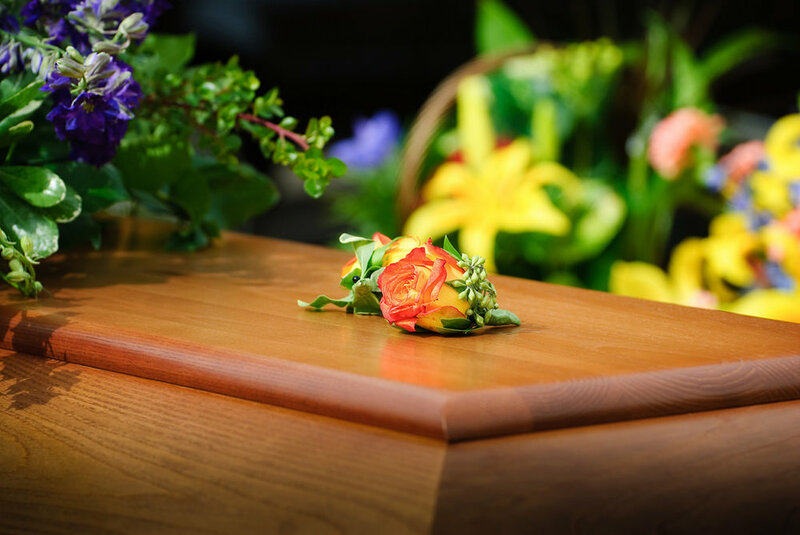 An old school casket burial, for instance, can run up to $10,000, while using a biodegradable casket, no embalming fluid, and no concrete burial vault, costs closer to $5,000. Alkaline hydrolysis, by comparison, costs considerably less than a traditional funeral, but slightly more than most cremation services. Jim Olson, a funeral director in Sheboygan, Wisconsin, and an expert on green and alternative burials for the National Funeral Director Association, notes that only 1-2 percent of people currently seek out an explicitly eco-friendly funeral. But more than 300 funeral homes already offer some kind of green option. And a 2015 study by the Funeral and Memorial Information Council found that a majority of respondents aged 40 and up would consider a green burial. Olson adds that many people already choose some kind of marginally green version of a standard burial, involving a simple biodegradable coffin, and no embalming or viewing. To that end, casket and urn makers are offering greener options, like seaweed-woven coffins and sea salt containers. But even with a rising willingness to consider innovative or environmentally friendly alternatives, options like cryogenic freezing and alkaline hydrolysis face some pretty steep barriers to widespread adoption, mainly in the form of change-averse funeral directors, local laws, and cemetery regulations. Olson notes that he can’t even do a green burial in Sheboygan, because no local cemeteries allow interment without a concrete burial vault. And without knowing how customers will respond, most small funeral homes can’t afford to invest in the new equipment some of these techniques require, which would run into the hundreds of thousands of dollars. Then of course there’s what Olson calls “the ew factor”—disgust at ideas like mushroom burial shrouds or cryogenic freezing, from those who consider them gross or disrespectful things to do to a body. On his show, comedian Stephen Colbert once gave a “wag of the finger” to an NBC affiliate station clip in which Olson supports mushroom shrouds. “Speed up decomposition?” Colbert asked, as his audience groaned. “I’m sorry, is my dead body not decomposing fast enough for you? How thoughtless of me!” Later in the segment, Colbert adds, “I have no interest in the low-grade shiitakes this suit will turn me into,” highlighting, in a tongue-in-cheek way, the deep discomfort society has with new natural decomposition methods, much less melting or freezing a body. Smith believes people can be made to understand that all death care involves some kind of decomposition. It can happen slowly underground in an airtight coffin, or quickly and easily via his company’s cryogenic process. He notes that Cryomation has done market research in Australia, Canada, the Netherlands, and the United Kingdom and found that 12 percent of respondents would be willing to choose Cryomation as their first burial option, while 66 percent said they didn’t have any problem with the concept. Cryomation also plans to appeal to funeral businesses themselves on a cost-saving front. Their machine, the Cryomator, is expected to cost about as much up front as a new cremation machine. But whereas cremation machines need to be regularly relined with new bricks (which Olson estimates to cost up to $100,000 every few years), the Cryomator is stainless steel, requires cheap and minimal maintenance, and is built to last dozens of years before needing replacement. Smith says he’s been in talks with a company that owns a large number of crematoria in China, most of which have machines in need of replacement. There is also, he says, the chance of some sort of deal with local governments in the U.K., which often run their own crematoria. Any large implementations are still a few years away, though, as Smith estimates their first run will only consist of 10 machines; at this point some of the components are so specialized that just obtaining parts can be a months-long process. Granted, spreading to just a few states and funeral homes over seven years is a slow trajectory. And it remains to be seen if alkaline hydrolysis’s growth will continue, or if it can be replicated with methods like cryogenic freezing. But unlike their past reluctant acceptance of cremation, funeral directors today could play a proactive role in accelerating their own industry’s disruption, says Olson. In his experience, if a funeral service provider takes a risk and invests in new options, more families will choose those options, just by dint of their availability. When the living show appreciation for new products or services like Cryomation, says Olson, funeral homes will eventually offer those choices regularly, making what was once viewed as a macabre niche a standard option. The first step toward a new era of environmentally friendly funerals may begin with planning our own. “Everyone should pre-plan their funeral and start talking about it,” says Olson. “If you’re going to want something [innovative], you need to make sure your local funeral home has it.” In other words, if we want to see a greener, more diverse future for the funeral business, we need to say so while we’re still alive. Jan 30 A Tale of Two Struggling Countries, Does Tourism Help or Hurt?